Batteries are one of those things that can save your life, but is rarely viewed as such. These power suppliers offer countless necessities the vital energy they need to perform that jobs they would otherwise be incapable of doing. Coming in a variety of sizes and voltages, batteries are an essential part of camping, hunting, and everyday life. GrabAGun.com recognizes the importance of batteries and has a large inventory to revitalize your supply when your electronics start to die. Most of us can tick off ten things that use a battery without us even thinking about it. Remotes, cellphones, flashlights–even our cars run off of battery power, to some extent. Laser sights, moving targets, and portable heaters also use the all-important battery to work. Some batteries are rechargeable, and a few can even be charged by kinetic or solar energy. A good practice to follow is to have a reserve supply of batteries at all times. Be aware of what batteries you need and have a backup supply in case any of yours go dead. AA and AAA are some of the most common sizes for smaller electronics, while C- and D-sized batteries are often used in larger flashlights. 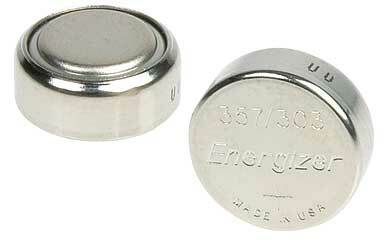 Many small electronics require unique batteries that are not hard to find, just specific in size. In addition to batteries, having a spare charger and storage device is important for most people. We never know when something is going to happen, and having additional power can mean the difference between a bright or gloomy outlook. So whatever devices you have that use batteries, make sure you stock up and have extras; and GrabAGun.com will make sure to have the inventory you need to fill your supply. As always, if you have any questions about voltages or sizes, be sure to ask our customer service team.